My Grandma's letter to Mom stopped during December and January 1958. I'm not sure if she didn't write or if these were just lost. Grandma did make a trip to visit my mom in Christmas of that year, so there wouldn't be any letters while they were together. I am going to wait until next month to start posting those again. 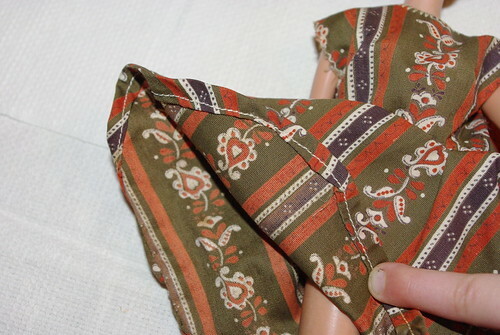 This week I want to do something a little bit different and showcase one of my grandmother's talents- sewing. When I was a little girl my grandma made a lot of my clothes. My sister and I had so many matching outfits made by my grandmother's hand. 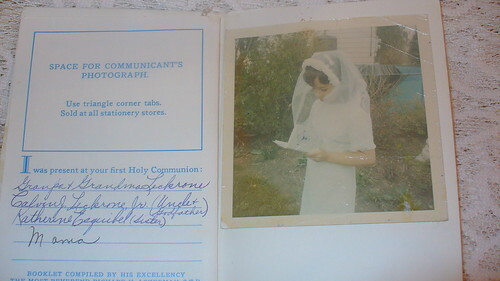 She even made our first communion dresses. 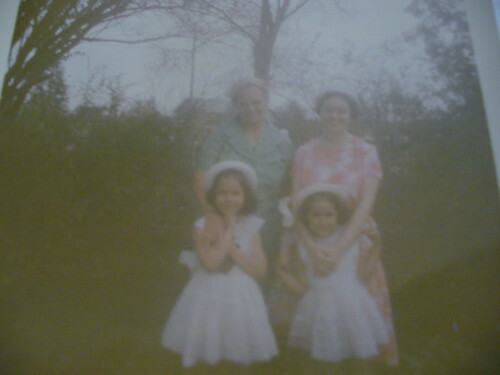 I literally wore my first communion dress until it got too small and had a hole in it! I loved that dress so much. 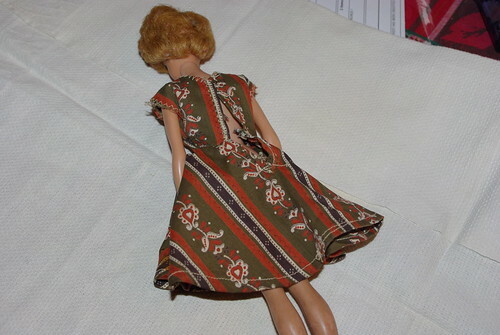 The only piece that I have now though is a dress that grandma made for my Barbie doll. 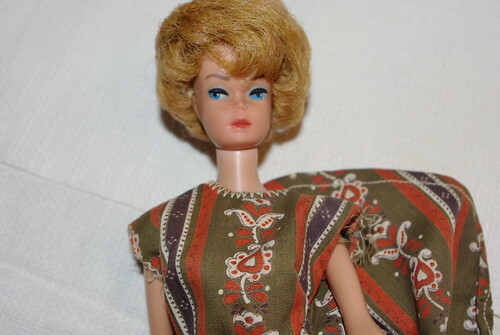 She bought Barbie dolls for my sister and me in the early 1960s. They have that Jackie Kennedy sort of hairdo. 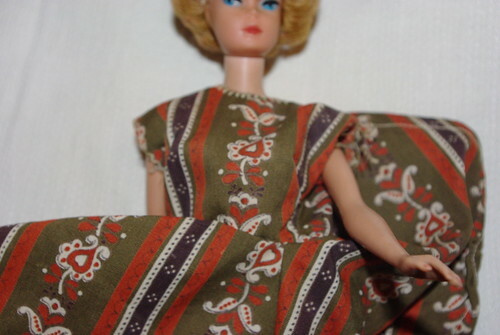 The dress my Barbie is wearing is one that she made from scraps left over from a dress she made for my mom. 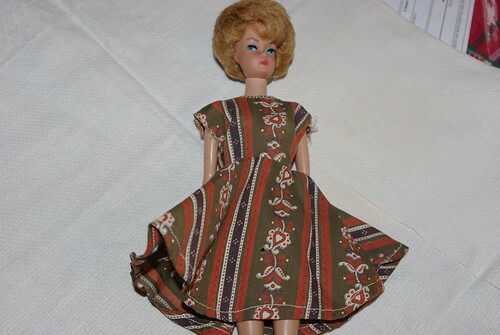 This was before serger sewing machines were around. There is no hand sewing on this dress, she did it all with her machine, although she did sew the back of the dress up by hand so that I couldn't take the dress off and loose it - something that I might do again as Rosie keeps taking it off. The dress really reminds me how much my grandma loved me - to see those tiny dress pieces and sewn them together is sure a reminder of that to me.